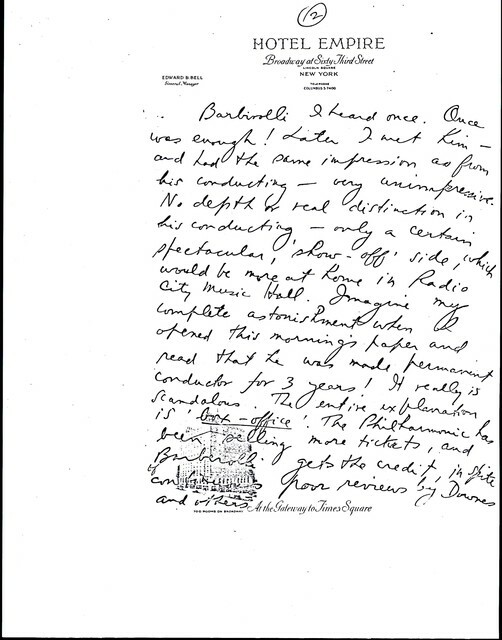 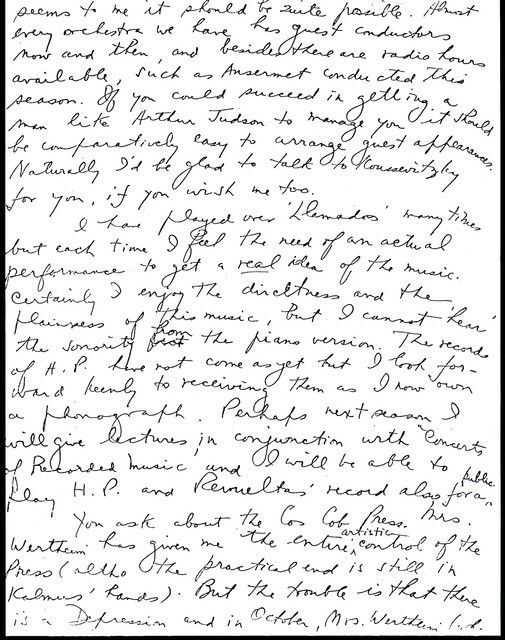 Letter from Aaron Copland to Carlos Chávez, December 11, 1936. 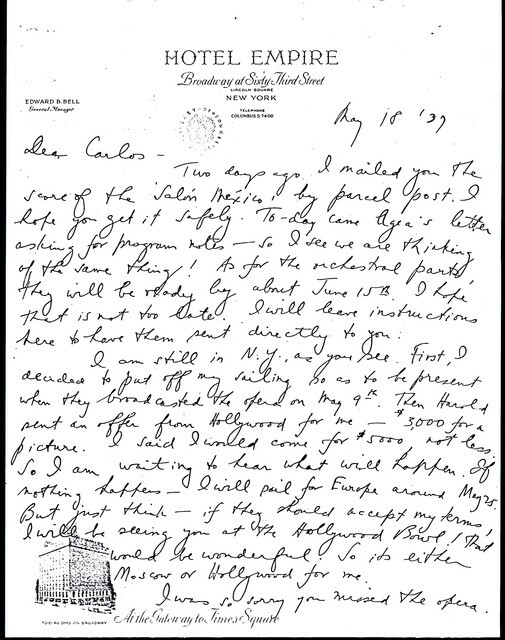 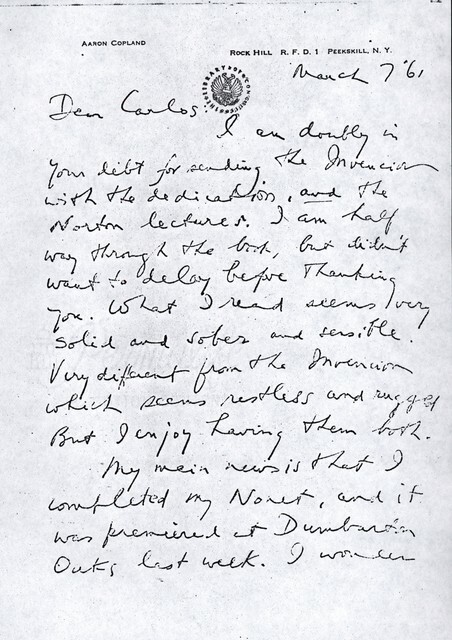 Letter from Aaron Copland to Carlos Chávez, 1930. 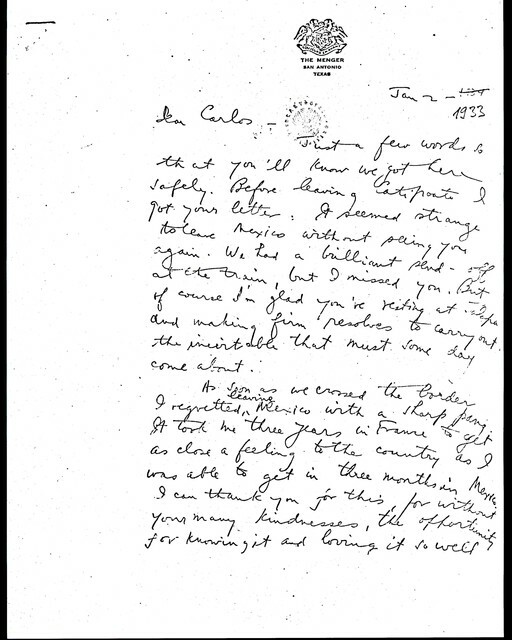 Letter from Aaron Copland to Carlos Chávez, December 26, 1931. 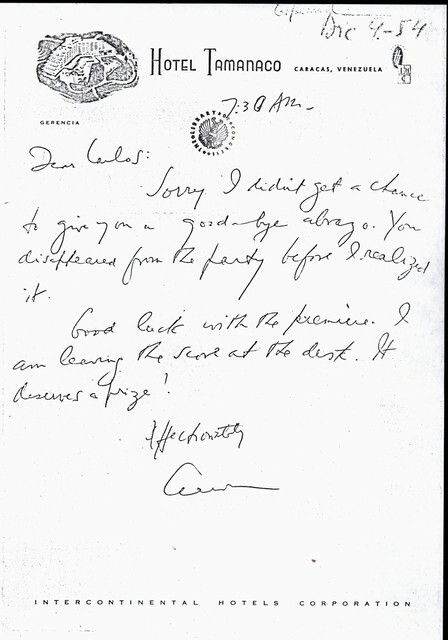 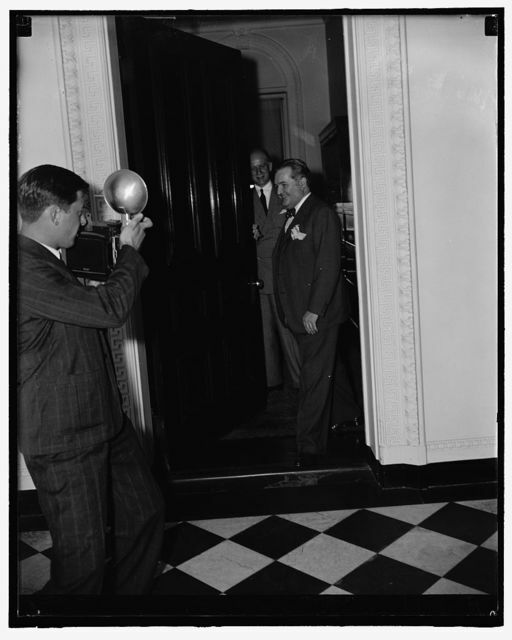 Letter from Aaron Copland to Carlos Chávez, December 31, 1934. 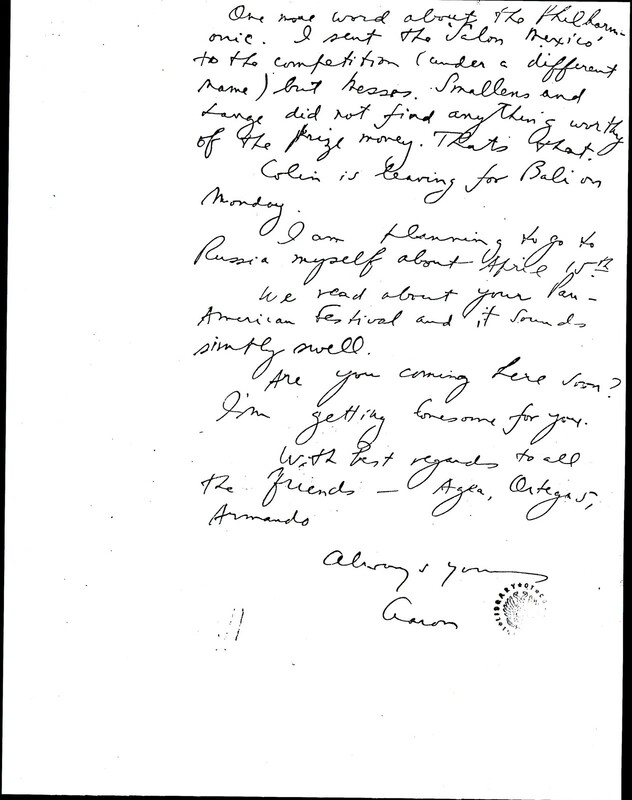 Letter from Aaron Copland to Carlos Chávez, January 2, 1933. 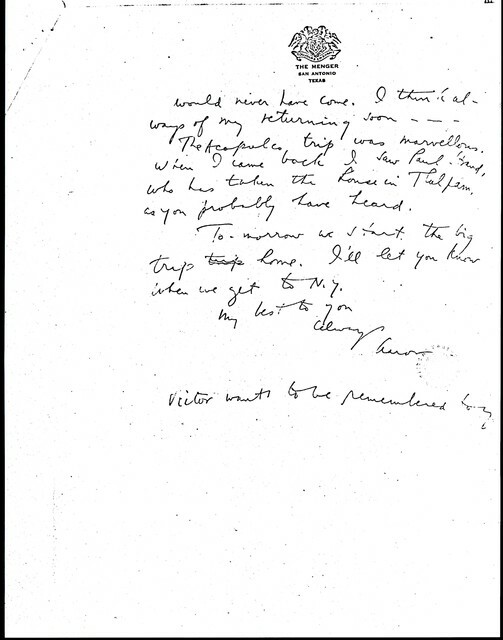 Letter from Aaron Copland to Carlos Chávez, December 4, 1954. 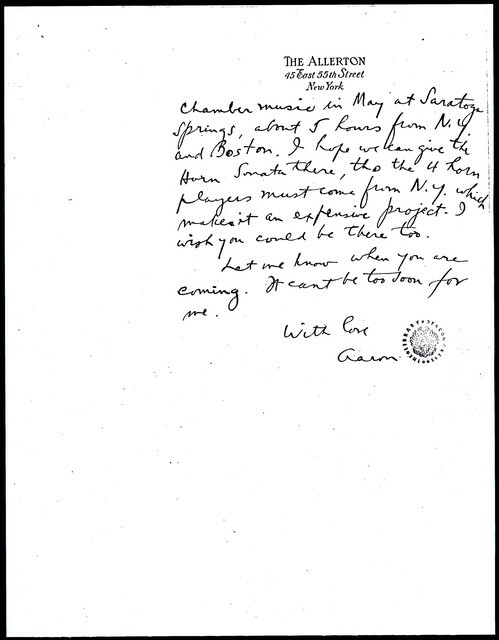 Letter from Aaron Copland to Carlos Chávez, May 29, 1959. 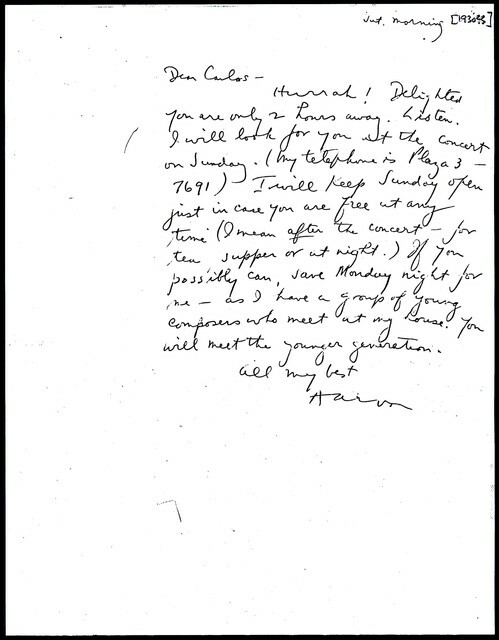 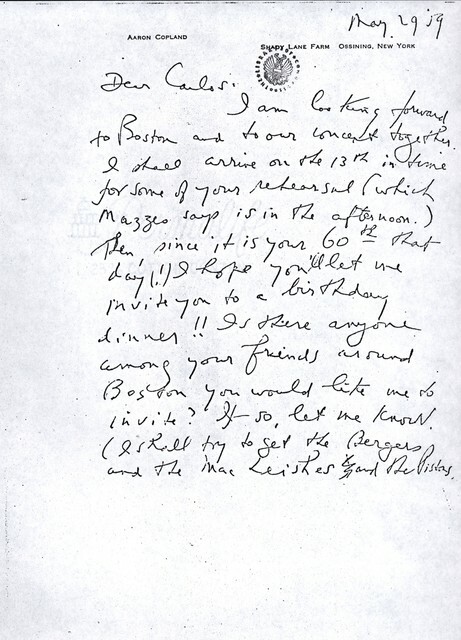 Letter from Aaron Copland to Carlos Chávez, March 7, 1961.